As the capital blossoms in the mild spring, you are still hesitating about the day’s programme? Look no further and run to the Grand Palais without delay. From April 4 to 7, treat yourself to a breath of modern and contemporary art under the large dome. The event is called Art Fair Paris. Its purpose? Open contemporary art to all. Do you love contemporary art? Or on the contrary, does it reject you? Whether you are initiated or totally closed to the mysteries of this often misunderstood art, you will not remain indifferent to this gigantic international exhibition that focuses on artistic creation from the post-war period to the present day. Art Fair Paris hosts more than 150 galleries of modern and contemporary art, half of which come from about twenty countries around the world. For this 21st edition, women artists in France are honoured through 25 projects selected by the AWARE association (Archives of Women Artists, Research and Exhibitions). Another highlight is the exhibition “Southern Stars: An Exploration of Latin American Art”, which presents a group of 60 artists from Argentina, Brazil, Chile, Colombia, Cuba, Mexico, Peru and Venezuela. The ideal way to get the most out of this major international fair is to follow one of the 80 or so “decryption” visits organized with the Observatoire de l’art contemporain. A way of better understanding the works, the artists, but also the dialogue that is being established between European art and other world scenes. After that, you will no longer doubt the validity of the title “Paris, world capital of art”! In spring, stay at the Appia La Fayette Hotel and dare to explore contemporary art! We know that: preparing for your trip is already a bit like travelling. 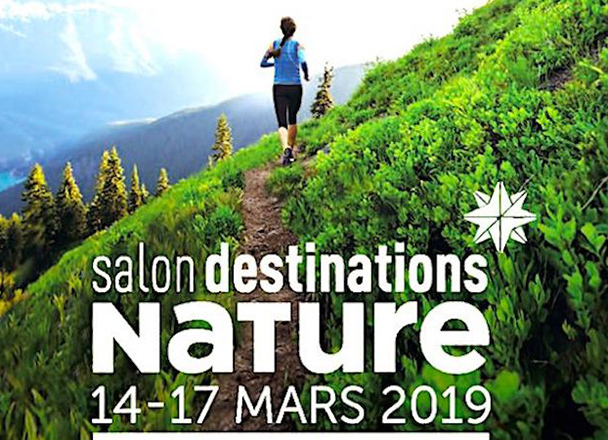 For all those who wish to get a taste of the outdoors, Hotel Appia is looking forward to meeting you from 14 to 17 March 2019 in Paris at Porte de Versailles for the Destination Nature exhibition. Good tips, meetings, initiations and workshops, focus on hundreds of destinations… : these four days will give you a taste of nature with a big N! Who is this show for? To all lovers of outdoor sports activities and nature holidays. From March 14 to 17, practitioners (trailer, walker, cyclist…), sports federations, tour operators, institutions, race and sports event organisers welcome you to the Porte de Versailles to inform you, advise you, present you with the latest news in terms of equipment or destinations, in short, support you in preparing your next outdoor adventure! Four universes await you there. On more than 2,000 m² of exhibition space, the EcoTrail Paris Village is entirely dedicated to trail riding, Nordic walking and hiking. Ideal to find the right equipment for your practice or to register for your next race. In the margins of the exhibition, several events are scheduled. To your sneakers! The Tour Operators’ Village brings together tour operators specialising in sports holidays. Discover special destinations and ideas for outdoor holidays in France and abroad. From high mountain treks for experts to family walks, the Village Montagne is full of hiking proposals for everyone. Enjoying nature is good, taking care of it is better. The Sustainable Tourism Village tells you everything you need to know to travel responsibly while respecting the economy, ecology and socio-cultural authenticity of the host communities. It’s in season! With winter hockey players are making their comeback. They look forward to seeing you on the ice of the AccorHotels Arena on 16 and 17 February for the final stages of the Coupe de France. A weekend that promises to be explosive and full of emotion! Who from Amiens, Chamonix, Lyon or Strasbourg will win the supreme title of French ice hockey champions? Will Lyon, who already won in 2018 against the Gap Raptors, repeat the feat or be robbed of the spotlight? On the ice as well as in the stands, the tension will be palpable, and the adrenaline rushes will certainly spice up this long weekend of competition. For the first time, the two semi-finals and finals have been combined to offer you two days of consecutive matches. The festivities will begin on Saturday 16 February at 13.30 with a meeting between Amiens and Strasbourg. This will be followed by the semi-final between Lyon and Chamonix at 5:15 pm. Then meet at 2:30 p.m. the next day, Sunday, February 17, for the verdict of this 25th edition of the Coupe de France de hockey. Two days of games, two days of emotion and show not to be missed, especially if your favorite team is part of the final square. A word of advice: be careful when reserving your seats so that you don’t get the wrong place in the supporters’ stands! Guaranteed electrical atmosphere! From the Appia La Fayette hotel, AccorHotels Arena is accessible in only 20 minutes via RER D. Why deprive yourself? Book your sports stay at the Appia La Fayette Hotel now. Private individuals or professionals, during the Maison et Objet exhibition from 18 to 22 January, stay at the Appia hotel. For five days, this event, now expected every year, brings together designers, creators and lovers of beautiful things. According to your taste, explore the Home or Object sector! Located a stone’s throw from the Gare du Nord, Hotel Appia will be your ideal pied-à-terre for the duration of the Show. Because it is very close to your arrival station if you come from the provinces or Belgium. But also because it offers you direct access to the Villepinte exhibition centre via RER B at the Gare du Nord station. In 2019, the Show will offer you new visiting routes, new shopping experiences, itineraries that are intended to be inspiring and surprising and new places to share. Wander between the various spaces to meet the approximately 3,000 exhibitors expected, including 600 new ones. 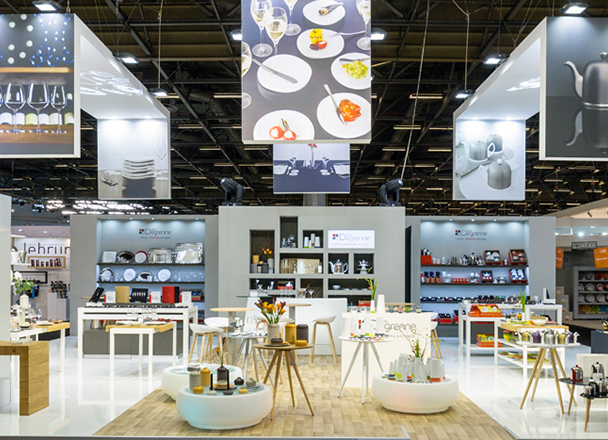 Along the aisles, let yourself be seduced by the latest trends and innovations in decoration. To make your discovery easier, the two poles will be divided into several universes: four for the house, seven for objects and accessories. Not to be missed: the thematic scenographic spaces, which highlight the remarkable new features of the season. 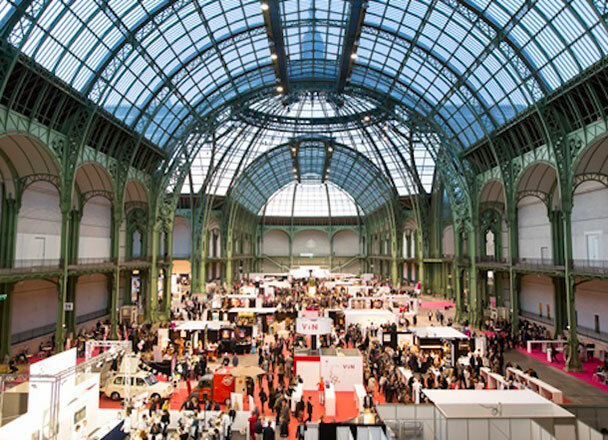 Maison et Objet is also a privileged place to exchange ideas, notably through a programme of more than 50 conferences. Amateurs and professionals of the art of living, interior design and design, do not miss the M&O Salon, book your stay at the Appia Hotel. What are we doing in Paris as the holiday season approaches? We rush along the illuminated windows of department stores! At Galeries Lafayette, Le Printemps, Le Bon Marché, Le BHV… a fairy tale of lights and colours, a host of unusual creatures colonise the front. Don’t ignore this pleasure: nothing like it to put glitter in your eyes and dream in your head! 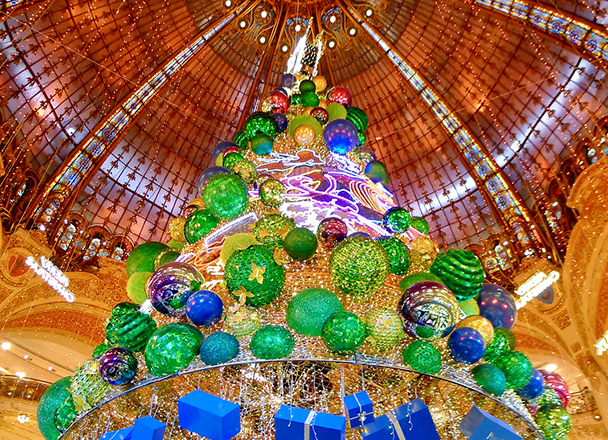 Galeries Lafayette At Christmas, children are kings! They are the ones who imagined the eleven little heroes who populate the windows of Galeries Lafayette. At the end of a drawing competition, Sacadot, Sacrifor, Sapique and the others were chosen, drawn and modelled in 3D to animate “La Fabrique des Rêves”. Discover them through different skits evoking the highlights of Christmas. Printemps A little further on Haussmann Boulevard, the magic continues behind the Spring windows. Here the heroes are called Jules and Violette. Follow them on a dreamlike journey through a thousand enchanting landscapes: frosty valley, rose garden or delight workshop… A whole joyful and colourful world where adorable puppets come to life. Le Bon Marché Another atmosphere at Le Bon Marché. Here Christmas smells like a Christmas tree: he is this year’s star. The scenography, a bit crazy, surprises or makes you smile. It’s not that often you’ll see firs playing cheerleaders, spiking on Swan Lake or dancing the French cancan! BHV Supercalifragilistic expialidocious! The BHV is now on English time and invites young and old alike for a Fabulous Christmas with Mary Poppins. Accompanied by her penguins, the famous nanny promises you a shower of magic and surprises. Rendez-vous in front of the windows of the rue de Rivoli. To be discovered until the end of December-early January. It is now an expected appointment. 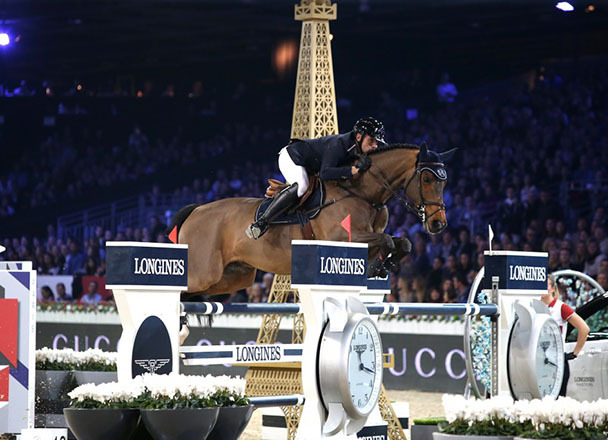 Season IV of the Longines Masters de Paris will be held from November 29 to December 2, at Paris Nord Villepinte. This great indoor show jumping competition is not only an important sporting competition, it is also an ode to the beauty of the horse and, beyond the show, an opportunity to celebrate a true art of living. It is no coincidence that All Paris is in a hurry, from movie stars to top corporate executives. For four days, the Longines Masters Paris brings together the greatest riders on the planet, both experienced and junior, as well as the best horses in the world. These equestrian stars will compete in Masters One, Masters Two and Masters Three events. So many great moments of technicality, sporting performance, agility and courage, but also elegance. Other surprises and challenges await spectators and riders throughout these four days: speed event, high jump event, or even shetland ponies race! As every year, it is with undisguised enthusiasm that the public will host the event. Slip into the audience, and enjoy a moment of exception, grace and prestige. On Saturday evening, after the competition, it’s time for a celebration. The Prestige Village transformed into a dancefloor will vibrate to the sounds of the decks of the young Belgian DJ Henri PFR. On Sundays, don’t miss the closing event of the competition, the Longines Grand Prix, reserved for the best. Show and emotions guaranteed! The Longines Masters intercontinental trilogy will continue with the Hong Kong Masters in February 2019 and the New York Masters in April 2019. During the All Saints’ Day holidays, treat yourself to an autumnal trip to Paris. And take advantage of Taste Week from October 8 to 14 to awaken and delight your taste buds. Throughout the capital, professionals in the food industry offer tastings and entertainment. A pleasant way to spice up your Parisian stay! Taste Week is structured around several events and a single objective: to convey the pleasures of taste to all audiences. This year’s themes are “eating well together” and “urban space”. First of all, Hotel Appia advises you to use the Mapstr application: in a few clicks, you will be able to access all the initiatives and events offered throughout France. Then let yourself be guided by your desires! Throughout the week, you will find “taste animations” organized by producers, craftsmen, farmers, town halls and local authorities. At lunch or dinner, take a seat at one of the “taste tables”: you can enjoy a healthy meal at an affordable price. This year, 350 restaurants will participate in this initiative. Are you ready to pay more? “Les petits menus des grands chefs” are for you: the opportunity to discover a gastronomic table, at a more affordable price. 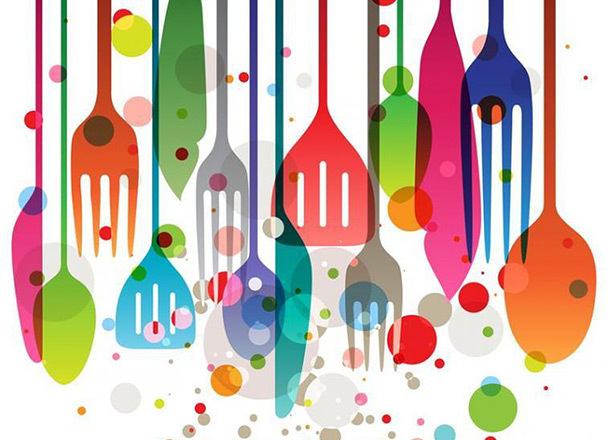 But Taste Week is also “Food Revolution”, a time for discussion on the future of food; “taste lessons” for children; “the call for projects for taste lessons”, aimed at rewarding educational initiatives in schools around food; “chef on campus” for students. Hotel Appia wishes you a good appetite! End Clap for the summer. The new school year is here and with it the big appointments, like so many beacons to mark the beginning of a new season. In the fashion world, September announces the spring/summer 2019 collection. Want to be aware of the next trends? Direction Fashion Week Women from September 24 to October 2. Goodbye light dresses, small lace tops and fluid combinations, in the closet the powder pink, pastels and large prints. If the summer of 2018 was placed under the sign of romanticism, what does the 2019 summer collection have in store for us? 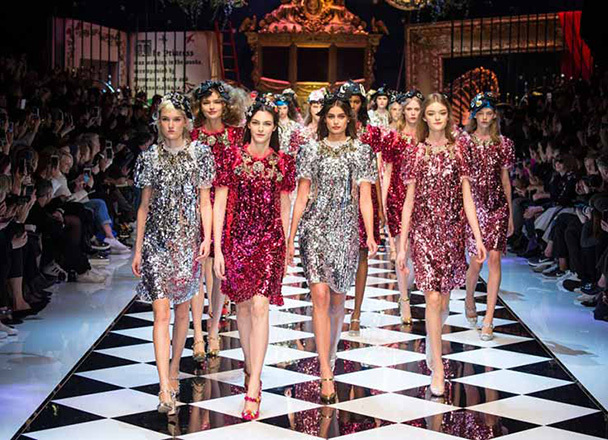 One of the largest fashion shows in the world opens on 24 September. Paris Fashion Week is undoubtedly the most chic and most popular week of the year for the fashion capital. After the New York and Milan Fashion Weeks, the Paris Fashion Weeks will be much awaited and, we hope, full of surprises as usual. With it will end this international marathon started at the beginning of September. The creations of emerging brands will of course be closely followed, but nothing that can overshadow the great Parisian pundits and chouchous..: Balmain, Chanel, Dior, Saint Laurent, Valentino… Unexpected guest of this Paris Fashion Week, the Italian fashion designer Gucci will present his spring-summer 2019 collection in Paris and not in Milan as the tradition wants. Festival Rock en Seine: 2018 edition! For over fifteen years, Rock en Seine has been grooving at the end of summer! Installed in the gardens of the national domain of Saint-Cloud, the festival will take place from 24 to 26 August its eclectic programming. Rock, rap, electro, confirmed bands, others in the making and to discover: that’s Rock en Seine! Rock en Seine is five stages spread over the 460 hectares of the Saint-Cloud estate park, three days of music in the heart of French gardens and at the gates of Paris! But also 120,000 festival-goers determined to take advantage of this last great event of the summer! 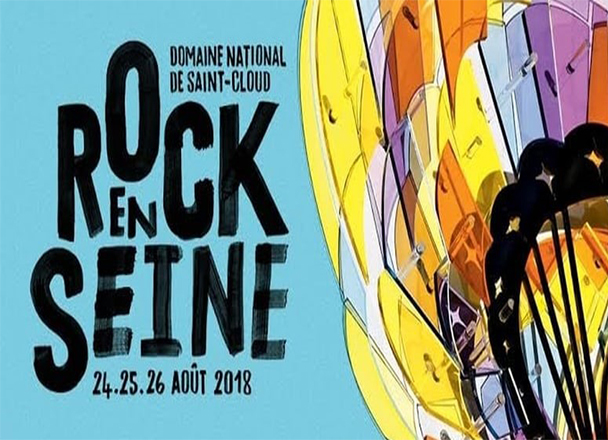 Rock en Seine, they are distinguished guests like Justice, Macklemore, PNL, Post Malone, Thirty Seconds To Mars, Mike Shinoda, Die Antwoord, Black Star, Liam Gallagher and many others. Heavyweights of the musical universe from all over the world such as the English pop artist Anna Calvi, the Australians from Purcels, the Swedish folk music group First Aid Kit, the Arab alternative rock group Mashrou’Leila, to name but a few. Rock en Seine is also a springboard festival for several French and Ile-de-France groups, to see and listen to in the Île-de-France area. Not forgetting the Mini Rock en Seine, a rock festival for the youngest with concerts, workshops and games. From the Appia Lafayette hotel, in less than an hour, you can reach the Saint-Cloud estate and the festival. Book your rock trip now! 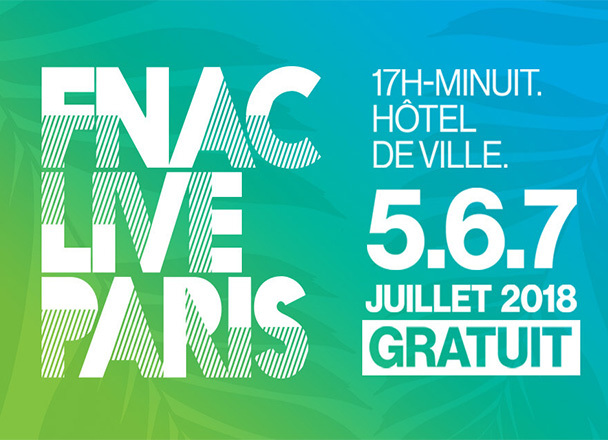 The Fnac Live festival is the inseparable event of Paris Plage. From July 5 to 7, every evening, in the forecourt of the town hall, mingle with the crowd and enjoy a program to fall, between headliners and nuggets to discover, between French song and sizes international. It’s totally free, so why deprive yourself? Sting and Shaggy, Asaf Avidan, Dominique A, Foe, Synapson Live are some of the artists expected for this 2018 edition of Fnac Live, nothing less! As every year, programming also gives pride of place to the talents of tomorrow. The festival scene acts as a springboard for these promising young shoots such as Voyou, Moha Squale, Sopico, Degree, Aloïse Sauvage or Yorina. Like a ritual, every day at 5 pm, place to the indie! True to its vocation, Fnac continues to support independent labels by giving them carte blanche. A kind of foreplay, just to warm up and get in shape before moving on. Each night, a new label will offer you its playlist, which promises a great trip in the vast galaxy of musical possibilities. Attention, several concerts will take place on the stage of the show, in the town hall. These concerts are available by invitation only. The invitations, in limited number, are to be withdrawn in the ticket offices of Fnac Paris and Île-de-France from July 4th. Book your music stay at Appia Hotel and enjoy the best rate guaranteed via our website.